Before you upgrade a production system, we recommend that you perform the update on a test system and check it with appropriate plausibility tests. 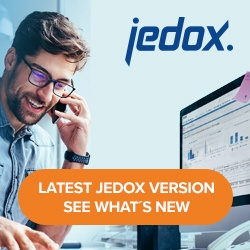 For migration of a Jedox installation, you have usually to export Jedox Reports and Jedox Integrator projects and then import them in the new Jedox installation. For the export of Jedox Reports, you should use PB files. Restart all Jedox processes and execute final steps of point D to adapt the internal connection. Stop the Jedox processes on the new and old system. Delete or rename the file Jedox_Installation_directory/httpd/app/etc/config.php. Check that all Jedox processes have successfully completed their restarts. If there are big databases, then the Jedox process needs more time (if in olap_server.log the line “Delay loading finished” is displayed after the last line with the content “Starting to listen…”, then all databases are loaded completely). Stop the Jedox processes and then restart Jedox Setup via the script install.sh. Choose the same directory and an upgrading message will prompt on the console. It may happen that the Upgrade-Installation overwrites manually changed configuration files. Make sure you have a backup from which you can restore manually changed files. Variant C has the advantage that all users as well as their rights, settings, and tasks are migrated. But this only works when all paths are identical. Adapted Supervision Server scripts must be manually reviewed and changes made in the old script files must be transferred manually into the new script files.